Buying a house is one of the most important purchases in one’s life. There are many factors that go into the decision-making process and a having a realtor makes the course go much smoother. From providing a wealth of knowledge about home specifics to negotiating through the final stage, it’s crucial to have someone who will help guide you in the right direction, be there for you every step of the way and make you a priority during this exciting and somewhat hectic time. Mary Ann O’Keeffe of Coldwell Banker Hearthside in Bucks County is that realtor. Primarily serving the Newtown, Yardley, Upper Makefield, Langhorne and Doylestown areas, she barely has any down time outside of work. And she wouldn’t have it any other way. With the endless amount of time, energy and dedication to her job, it’s no surprise she is ranked in the top one percent in sales in Bucks County, and as one of Pennsylvania’s top 15 agents. She has also been named the top sales agent for Coldwell Banker Hearthside Realtors and top one percent worldwide for the past three years. The key to her success is simple—hard work. And it didn’t come easy. O’Keeffe lived in Bucks County and worked with Merrill Lynch before moving to New York when her husband’s job was relocated. After 10 years, they were relocated back to Bucks County where she started her career in real estate in 2007, during the start of The Great Recession. Between the housing market crash and not having a referral network, one would think it was the worst time to start a new career, especially in real estate. But O’Keeffe believes it actually helped her in the long run. Watching O’Keeffe succeed and seeing how much she’s loved her career over the years had quite an impact on her 23-year-old son, J.P. 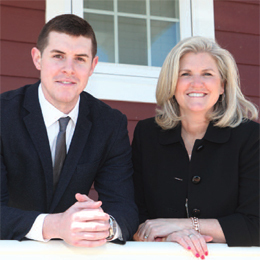 He followed her footsteps and became a licensed real estate agent right after graduating from Penn State University with a degree in economics with a degree in economics. He says he knew from a young age he wanted to run his own business and this was the career path he wanted to seriously consider. 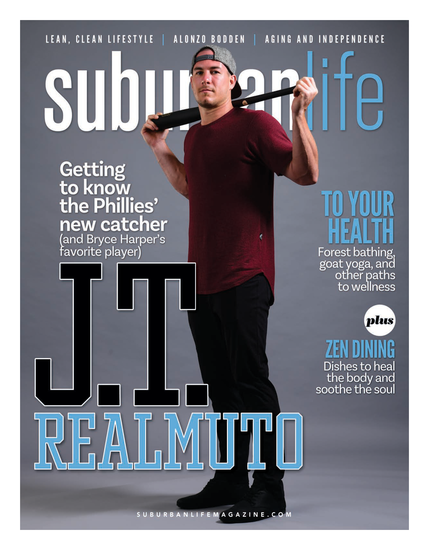 “Growing up and seeing her [as a realtor] for the last 10 years, many times real estate was a common topic and I listened and gained knowledge that I don’t think many millennials have,” J.P. says. Between a strong work ethic and having O’Keeffe as a mentor, it has helped J.P. accomplish more in a year than many agents are able to accomplish in several. He says the growth aspect of real estate is appealing and he wants his business to grow as fast as possible through because of hard work and the focus on clients’ needs. O’Keeffe wanted J.P. to do everything a typical real estate agent does and prove himself without her handing him any business. She says the biggest challenge in real estate is how to get the business, and he has generated the majority of his deals on his own. “I think my goal was that he would start real estate as if I was not here, which he did and he’s been very successful. He’s well on his way,” she says. In recent years, buyers have become more knowledgeable about the real estate market because of all the information available on the Internet. One click of the mouse or one tap on the Smartphone is all it takes for an abundance of listings, public records and various facts about homes at your fingertips. But O’Keeffe says just because information is readily available, doesn’t mean you shouldn’t have an agent. “Some may ask, ‘Why do we need an agent?’ It’s the whole negotiating portion, knowledge of the market and the ins and outs of each neighborhood that’s not on the internet that you rely on your realtor for,” she explains. She primarily works with budgets in the $400,000-$800,000 price range and is also an agent for Preview Properties, a preview marketing plan for properties over one million. O’Keeffe says it’s currently a “hot market”—the best she’s seen in almost a decade and has converted quite a few renters to buyers as interest rates are low and a great time to jump into home ownership. In addition to helping one purchase the home of their dreams, O’Keeffe helps people at the other end of the spectrum—sellers, some who are overwhelmed at the thought of putting their house up for sale. “Some can’t get their mind around ‘how do I put it on the market? What do I do to get it ready? How do I stage?